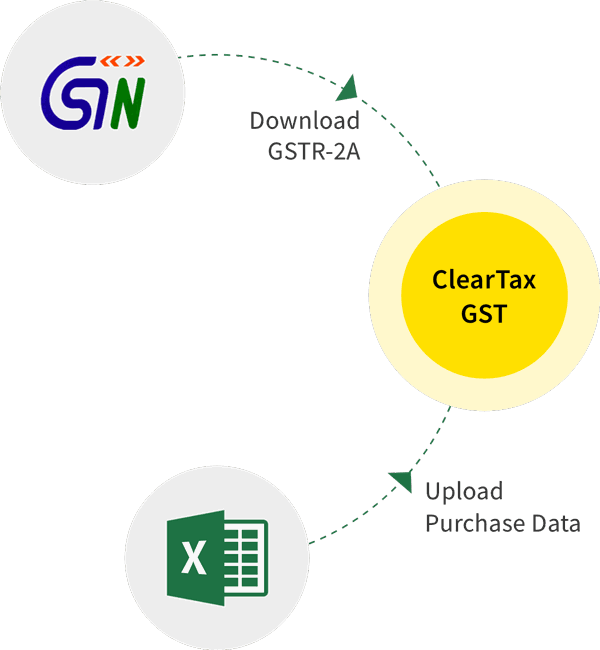 e-Way Bill portal provides many facilities for simplifying the entire process revolving around e-Way Bills right from its generation till the cancellation. Apart from these, many procedural discomforts of the users are also addressed through features like SMS facility, Sub-users feature, Masters. A Supplier/transporter has to register on the e-Way Bill portal to make use of the above-mentioned facilities. What is the need to create sub-users? How to create multiple sub-users for same GSTIN? When to freeze the sub-users and the steps to follow? 1.What is the need to create sub-users? e-Way bill is to be generated for every consignment valuing more than Rs. 50,000. Many of the businesses have multiple places of business or head office and branch at different locations or work remotely from the principal place of business. Generating e- Way Bill with a single login may be a challenge for them. To overcome this challenge the concept of sub-users has been introduced. A sub-user can use the same login credentials created originally and perform the actions as per the access that is given to them. For example, a sub-user may be allowed to generate e-Way Bill and restricted to reject any e-Way Bill. 2.How to create multiple sub-users for same GSTIN? Enter the desired ‘Suffix Login ID’ (Sub-User name) and click on ‘Check’ to check for its availability. Note: if the taxpayer’s username is ‘abcdef’ and he is giving suffix as ‘rvk’, then the sub-user id will be ‘abcdef_rvk’. Enter the name of the authorised personnel, address, designation, mobile number and email ID who will use this sub-user ID. Choose the place of businesses/ branches for which the sub-user is enabled to generate e-way bills. 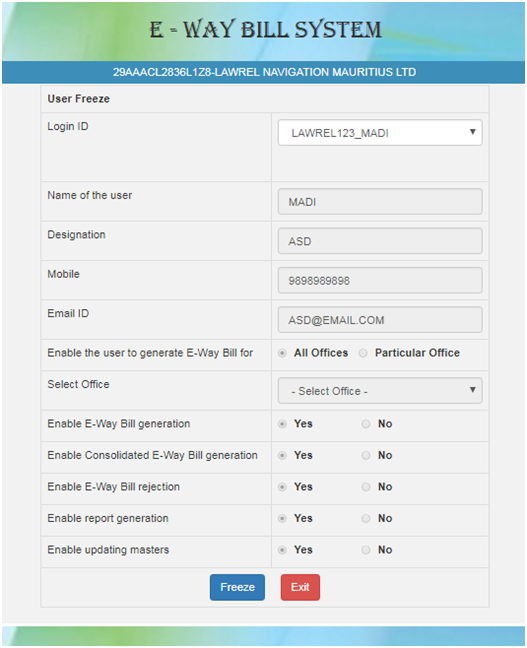 Select the facilities that are available for sub-user on the e-Way Bill portal i.e e-Way Bill generation, cancellation, rejection, report generation or updating masters. Click on ‘Submit’. The system pops up an error message if any, Otherwise the sub-user is created and a password is automatically generated and sent to the Contact details of the sub-user. 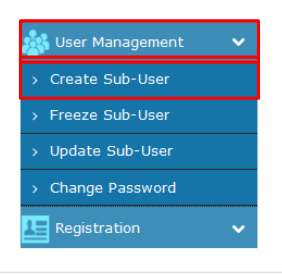 Similarly, You can also Manage the Sub-user you create by clicking on ‘Update Sub-user’ under the option ‘User Management’ on the left-hand side of the dashboard, make changes and click on ‘Update’ button. 3. When to freeze the sub-users and the steps to follow? The system gives an option to the taxpayer to freeze the sub-user i.e Disable the sub-user from using facilities on the E-way bill portal. Step 2: Select the sub-user you want to Freeze, the below screen opens up. Now click on ‘Freeze’ button appearing at the bottom of the screen. On clicking the ‘Freeze’ button, The sub-user will no longer be able to access any facilities on the e-Way Bill portal.